I would like to mention Microsoft Safety Scanner. 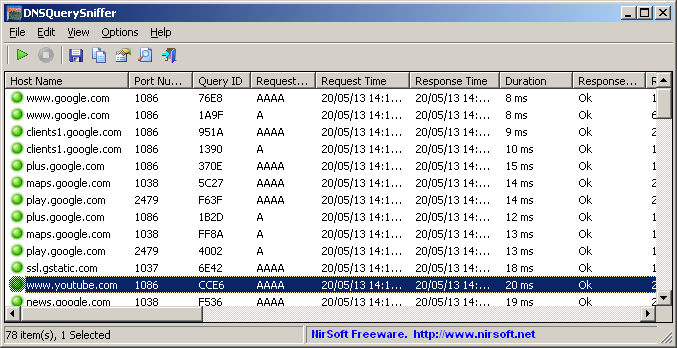 It is a scan tool that permit to find and remove malware. Usage is really simple, after downloading you simple need to run it to start scanning threat search. It can be launched only on demand and is available only for 10 days after being downloaded. REMARK: For real-time protection with automatic updates, use Windows Defender Antivirus on Windows 10 and Windows 8 or Microsoft Security Essentials on Windows 7. These antimalware products also provide powerful malware removal capabilities. If you are having difficulties removing malware with these products, you can refer to our help on removing difficult threats. I would like to mention this Veeam Article that was useful in the past to configure Direct SAN Access feature to enhance Backup Veeam Speed and workload. The Direct SAN access transport mode is recommended for VMs whose disks are located on shared VMFS SAN LUNs that are connected to ESX(i) hosts over FC, FCoE, iSCSI, and on shared SAS storage. In the Direct SAN access transport mode, Veeam Backup & Replication leverages VMware VADP to transport VM data directly from and to FC and iSCSI storage over the SAN. VM data travels over the SAN, bypassing ESX(i) hosts and the LAN. The Direct SAN access transport method provides the fastest data transfer speed and produces no load on the production network. Be aware that shared folder using SMBv1 would no longer accessible from computer using Windows 10 1079. You can re-enable SMBv1 as temporary solution before upgrading shared folder to a newer SMB protocol version. Today I would like to mention this NirSoft Tool (DNS Query Sniffer) that shows DNS queries sent from your PC/Server. For each query several information are available (Host Name, Port Number, Query ID, Request Type (A, AAAA, NS, MX, and so on), Request Time, Response Time, Duration, Response Code, Number of records, and the content of the returned DNS records). It is possible to export DNS queries in csv format. These information are useful for troubleshooting purpose too. REMARK: On some systems, capturing packets with the 'Raw Sockets' method may not work properly, and thus you'll need to install the WinPcap capture driver or the Network Monitor driver. 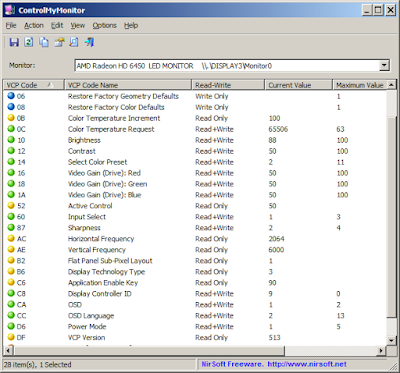 Even if the 'Raw Sockets' method works properly on your system, it's recommended to install the WinPcap capture driver or Microsoft Network Monitor driver (version 3.4 or later) in order to get more accurate date/time information ('Request Time', 'Response Time', and 'Duration' columns). Today I would like to mention taht since January 2013 (RFC 6844) it was defined a new DNS entry. This entry it permit to define a Certification Authorities (CAs) authorized to grant certificates for specific domain. This DNS entry it permit to avoid to have released certificates from not approved CA. From 8th September 2017 it has been decided (ballot 187) that CAA checks are mandatory during CA certification releasing process. 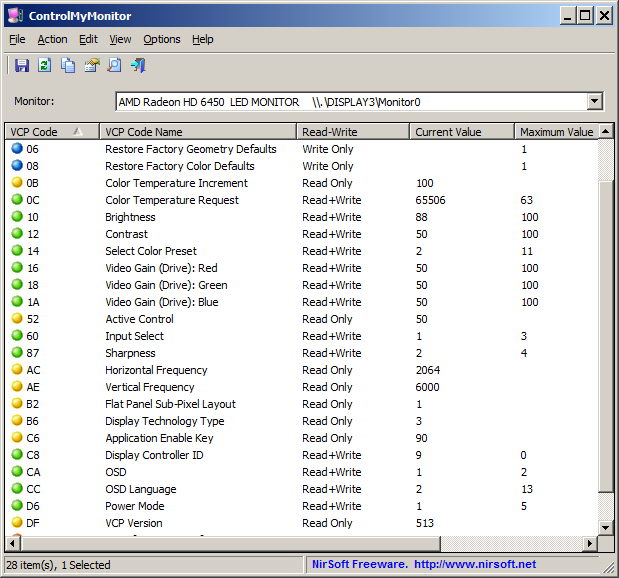 I would like to mention this Nirsoft Software that permit to change, at lower level, several monitor settings. At precedent link several resources link and exam information are available. About precedent exam it would be useful evaluate Azure 30 Days trial period account creation. I would like to mention this free tool that easily it created an encripted file that can be mounted as a normal HD drive. About Wordpress I would like to mention this Wordpress plugin that work with .htaccess file. 1. Install the plugin either via the WordPress.org plugin directory, or by uploading the files to your wp-content/plugin directory. 2. Activate the plugin through the WordPress admin panel. 3. Customize the settings on the settings page. We are all aware about security weakness that Wi-Fi it has, that does not dipend from protocol used. Infact Wifi it has allways some risks that could never become equal to 0. The idea it is that each person that is near to Wi-Fi could implement Key Reinstallation AttaCK (KRACK) and read trassferred data between PCs and router/access point (man in the middle attack with password, email, sensitive date reading...). You can take a look to this article that better explain an example on how to get this result. Kali Linux, la suite per gli attacchi WiFi Aircrack-ng, il software per eliminare la protezione HTTPS denominato SSLstrip e WireShark. Using vulnerability it create a Wifi fake with same SSID but on different channel. It switch remote device to connect to new fake Wifi and decript all traffick that became in clear mode. Kali Linux is a Debian-derived Linux distribution designed for digital forensics and penetration testing. It is maintained and funded by Offensive Security Ltd. Mati Aharoni, Devon Kearns and Raphaël Hertzog are the core developers. I did not find time to test it but it seems useful. It is Web based app that allows multiple cloud users to access all their online files from a single interface. Organizing, transferring, synchronizing or even manage sharing files between cloud storage services like Dropbox, Google Drive, Copy, OneDrive, FTP, WebDav, MEGA and other cloud supported vendors. It is a free application. 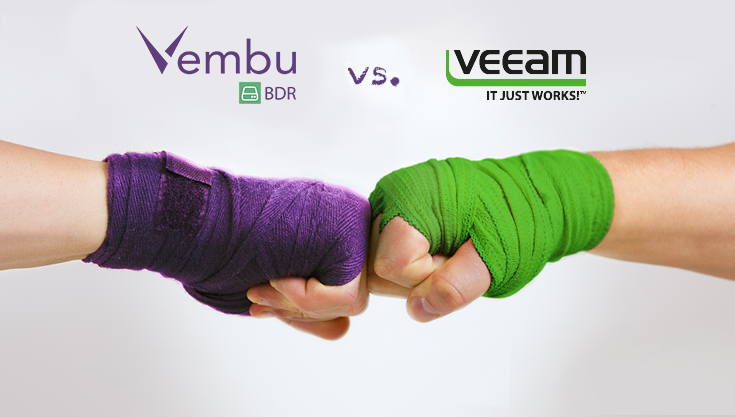 Today I would like to mention this Veeam Backup Alternative. Backups could be saved on-site, off-site and on cloud. Item Level Backup for Exchange, Sharepoint, SQL, My SQL, Office 365 available. Unlimited functionalities only for 3 VMs. Unlimited VMs but functionalities limited. 30 days trial full feature download possible. HyperV (2008 R2 up to 2016), Vmware (4.x up to 6.x) , workstation and physical server are supported. Full and granular restore supported. CRC, encryption (backup) and compression are supported. No agent software is installed on VMs. Storage pools aggregations are supported like on Veeam. Direct SAN feature permits backup tool to communicate directly to SAN (exposing with iScsi) without necessity to pass through to Vmware/HyperV hypervisors. Cross Platform Migration tool support (v2v) between different hyper-visor. VSS - Application-aware image backup compatibility. About exchange (2003, 2007, 2010, 2013 and 2016) Vembu Explorer for Microsoft Exchange Instantly restores Exchange user mailboxes, emails, contacts and etc., from backed up VMware VMs without restoring entire Exchange server. Vembu Explorer for Microsoft Active Directory: Instantly restores Active Directory objects and GPOs and etc., without restoring entire MS Active Directory VM.Supports Active Directory Server 2008 R2 STD, 2012 DC, 2012 R2 DC. Vembu Explorer for Microsoft SQL Server: Instantly restores SQL database and tables without restoring entire SQL VM. Supports MS SQL Server 2005, 2008, 2008 R2, 2012, 2014, 2016. Vembu Explorer for Microsoft Sharepoint: Instantly restores SharePoint site collections, documents and etc. without restoring entire SharePoint VM. Supports Microsoft SharePoint Portal Server 2003,2007,2010,2013. Bare-metal Recorery it is supported restoring to same hardware or new RAW hardware using Vembu Recovery CD. I would like to indicate here the first web page that was published in WWW. It is a curiosity useful to remember that the www beginning only 27 years far, in temporal sense, from today. The first drop of water of our IT "sea"
C:\Windows\System32\runas.exe /netonly /user:aduser@domain.suffix "mmc %SystemRoot%\system32\xxxx_command.msc"
where command.msc is any command with .msc. If you need to silent install SQL Studio Management Console Studio 17.2 you can do that through command line and using properly command switches. I took note on this quickly post about this settings for future purposes. Precedent .pdf ncludes general guidance for helping secure servers in your environment and how you can utilize new security features in Windows Server 2016. If you need to disable local Administrator account, change/set password or create new local Admin/user you can review previously article about GPO approach. Otherwise you can do that using SCCM. Summarizing you would need to create a simple CI checking on specific collection verifyng thereshold relatively devices that have local Administrator account enabled, apply remediation (account disabling) and finally have available reports/alerts. 2 CPU, 256 cores and up to 2TB. RAM. ReFS provides cloud-grade resiliency for data on fault-tolerant storage spaces and manages very large volumes with ease. ReFS is designed to be resilient to data corruption, optimized for handling large data volumes, auto-correcting and more. It protects your data with integrity streams on your mirrored storage spaces. Using its integrity streams, ReFS detects when data becomes corrupt on one of the mirrored drives and uses a healthy copy of your data on the other drive to correct and protect your precious data. Windows 10 Pro for Workstations provides the most demanding apps and data with the performance they require with non-volatile memory modules (NVDIMM-N) hardware. NVDIMM-N enables you to read and write your files with the fastest speed possible, the speed of the computer’s main memory. Because NVDIMM-N is non-volatile memory, your files will still be there, even when you switch your workstation off. CPU Intel Xeon and AMD Opteron support till 4 CPU and 6 TB RAM. Company laptop that connect to domain via WiFi could not apply correctly policies due to WiFi connection unavailability. You can do this with Group Policy, using the Always wait for the network at computer startup and logon policy setting. Here it is an interesting Microsoft article that well explain several easy workaround useful to reset windows 10 network issues. Using network reset should be the last step you try. Consider using it if the steps above don’t help to get you connected. This can help solve connection problems you might have after upgrading from a previous version of Windows to Windows 10, as well as fix problems where you can connect to the Internet but not to shared network drives. It removes any network adapters you have installed and the settings for them. After your PC restarts, any network adapters are reinstalled, and the settings for them are set to the defaults. 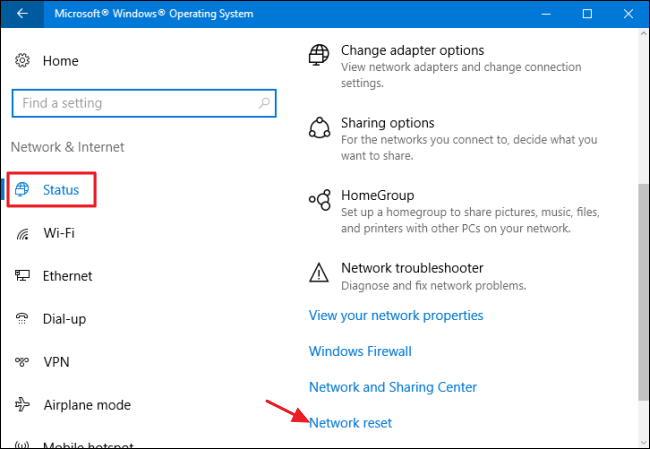 To use network reset, your PC must be running Windows 10 Version 1607 or later. To see which version of Windows 10 your device is currently running, select the Start button, then select Settings > System > About. Select the Start button, then select Settings > Network & Internet > Status > Network reset. On the Network reset screen, select Reset now > Yes to confirm. Wait for your PC to restart and see if that fixes the problem. After using network reset, you might need to reinstall and set up other networking software you might be using, such as VPN client software or virtual switches from Hyper‑V (if you're using that or other network virtualization software). Network reset might set each one of your known network connections to a public network mode. In a public network mode, your PC is not discoverable to other PCs and devices on the network, which can help make your PC more secure. However, if your PC is part of a homegroup or used for file or printer sharing, you’ll need to make your PC discoverable again. To do this, go to Settings > Network & Internet > Wi-Fi . On the Wi-Fi screen, select Manage known networks > the network connection you want to change > Properties, and then turn on the switch under Make this PC discoverable. I would like to highlight two software that should be allways in your IT tool collection. Here they are characteristic and explanations. It uses dynamically adjusted buffers to reduce seek times. Asynchronous copy speeds up file transfer between two physical hard drives. Error recovery. In case of copy error, it will try several times and in the worse case just skips the file, not terminating the entire transfer. Interactive file list. It shows failed file transfers and lets you fix the problem and recopy only problem files. Today I would like to highlight UninstallView is a new tool for Windows that collects information about all programs installed on your system and displays the details of the installed programs in one table. You can use it to get installed programs information for your local system, for remote computer on your network, and for external hard-drive plugged to your computer. It also allows you to easily uninstall a software on your local computer and remote computer (Including quiet uninstall if the installer supports it). Today I would like to mention this incredible history about an ex-Administrator proceeded to delete and wipe all customers servers. 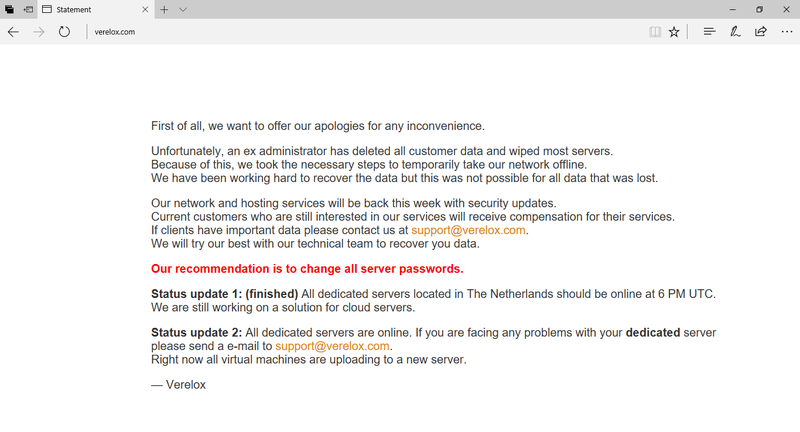 Verelox, a provider of dedicated KVM and VPS servers based in The Hague, Netherlands, suffered a catastrophic outage after a former administrator deleted all customer data and wiped most of the company's servers. Microsoft Mechanics delivers a comprehensive yet concise explanation of how you can safely and non-destructively convert a Windows 10 machine from legacy BIOS to UEFI disk partitioning. Windows Program Manager, Desmond Lee, demonstrates the new MBR2GPT disk conversion tool that’s part of Windows 10 Creators Update. This is a comprehensive yet concise overview that explains how you can safely and non-destructively convert a Windows 10 machine from legacy BIOS to UEFI disk partitioning; and how you can automate the conversion as part of your in-place upgrade process from Windows 7 to Windows 10. Importantly, unlike wipe and load methods, all of this can be achieved without having to move your data off the disk. About Nslookup command you can review old blog articles. I would like to highlight this interesting Microsoft article and debug switch to have more debug capability when nslookup is launched and there are some unknown DNS query problems.